When only the absolute finest California Navel Oranges are desired. There is only one place to look. Our Pearson Ranch Gift oranges are as close to perfect as you can get in nature. 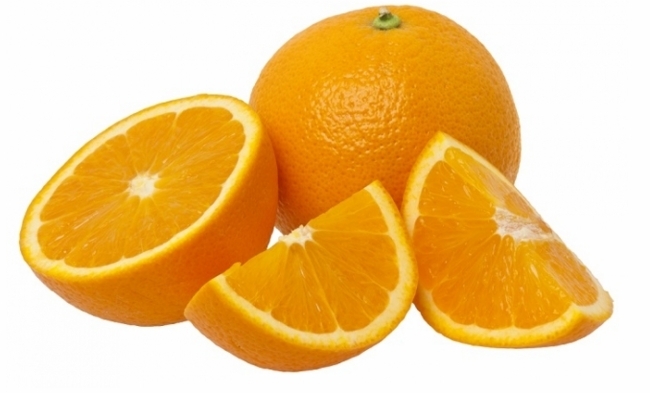 With very few blemishes (if any), high orange color, rich, sweet juice, and a well balanced sugar-acid ratio. These are the same oranges used in our gift boxes which are sent to the most discriminating of orange lovers and business associates all across the country. 35 lbs. PR Gift Navel oranges are available in limited quantities during the Navel orange harvesting season. They are always fresh picked and hand packed right from the farm and shipped via FedEx right to your door. Yes, they are a little more expensive, but when you're ready to send the "message" to friends, family or co-workers that for them, "only the best will do", Pearson Ranch is here for you to send out that message with only the finest, hand selected oranges. *A few words about shipping* Pearson Ranch can ship fresh citrus ANYWHERE in the U.S., Including: Texas, Louisiana and Arizona!...Also, you only pay for the shipping you actually need. We don't insult our customers by claiming to offer "free shipping", then stick the cost into the price of the fruit. Please compare "other" on-line fresh fruit vendors and see if what you pay for is what you're really getting!